Although they are less powerful than high-end microwaves, compact microwaves can prove very useful when in need to prepare a quick breakfast on the run. 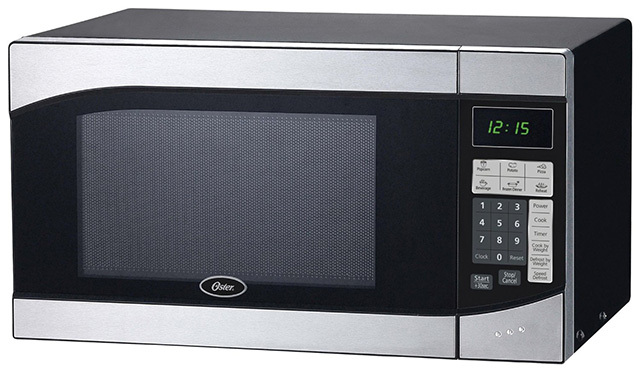 Most of these microwaves are under 1,000 Watts strong because of their size, yet they are very versatile and efficient nonetheless. Depending on the manufacturer, some of them might even feature presets for cooking specific dishes, along with defrosting and reheating capabilities. Overall, microwaves are among the most important kitchen appliances a person can own in this day and age, regardless of their size. 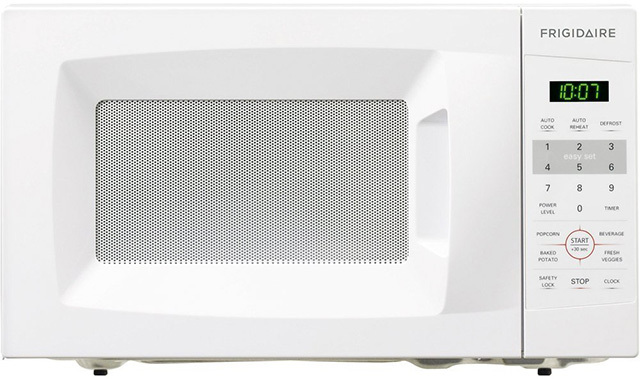 Even so, there are clear differences between the many different types of compact microwaves out there, so join us as we try to find the ten best compact microwaves money can buy. Packing 900 Watts of cooking power with a 10 power level distribution, this compact microwave is a lot stronger than you would expect from such a relatively small device. It also features 5 auto-cook menus for fast and easy cooking along with a defrost capability that allows you to defrost virtually any type of meat. At the same time, it comes with pre-programmed options for processing frozen meals, which when combined with its reheating capabilities make it a very versatile microwave overall. 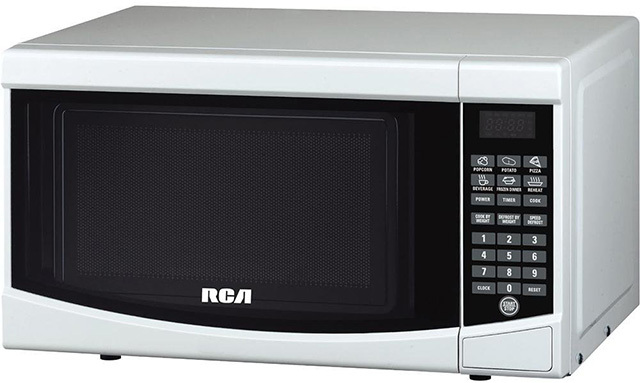 The RMW733 Microwave from RCA has a 700-Watt output and a 10 power level distribution that allow you to cook a variety of dishes with relative ease. It has 6 one-touch functions that can be accessed via an electronic touchpad, functions that include defrosting/cooking based on an item’s weight. We should also point out that despite being quite potent, it makes very little noise. 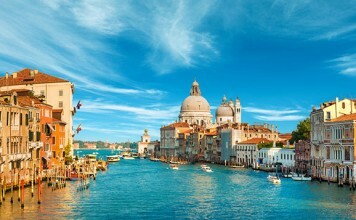 In fact, it is one of the quietest compact microwaves out there. 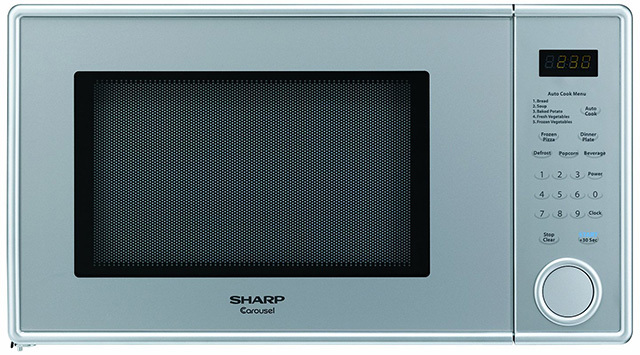 Sharp’s R-309YV R309 microwave is one of the most powerful microwaves on our list, yet compact in size at the same time. 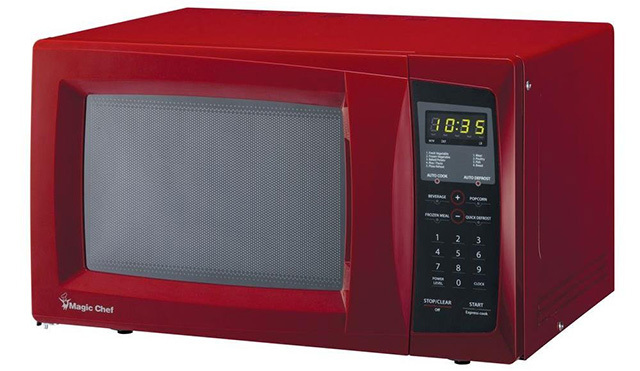 This microwave benefits from a 11″ Carousel turntable system, a wipe-clean electronic touchpad with an LED digital timer, a child lock system, and a few other useful features. 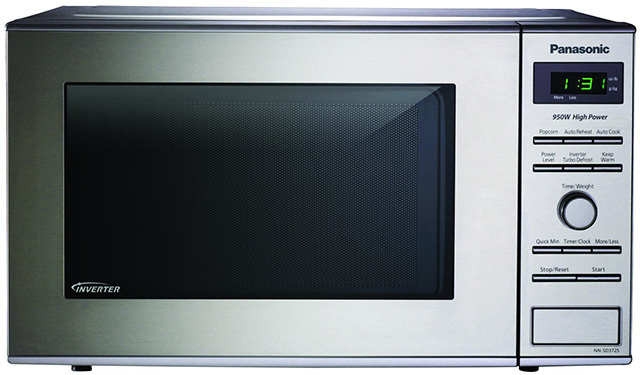 Furthermore, it features 5 auto-cook programs, 4 one-touch cook programs, and 11 power levels with a defrost function. This particular microwave may not be as small as the ones we talked about so far, but it does have a short profile as far as height goes. 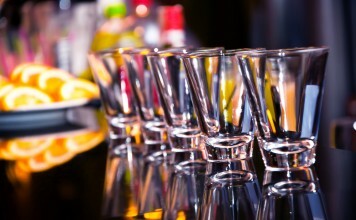 At the same time, it features a stainless steel design that makes it quite sturdy and durable. 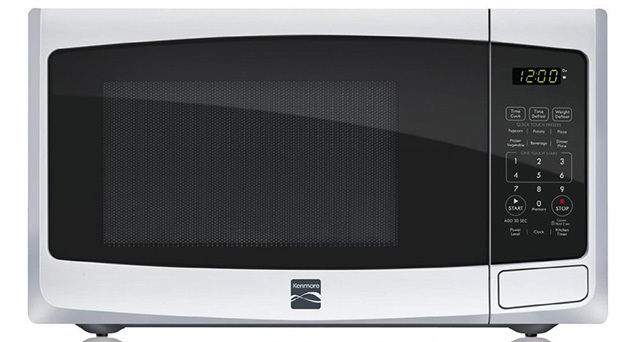 Feature-wise, this microwave has all the capabilities of a high-end microwave, minus the size. Among them, 10 adjustable power levels, one-touch cooking settings, a digital clock, a cooking timer, and a child safety lock. Equipped with a ready-select control panel with a safety lock, the Frigidaire FFCM0724LW is extremely easy to operate. This 700 W countertop microwave features 10 cooking power levels and a multitude of useful features like auto reheating, auto cooking, easy-defrost, and 2-stage cooking. 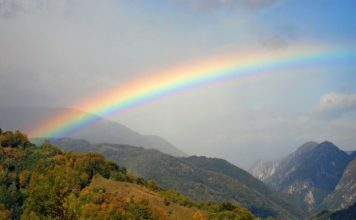 It also benefits from an Easy-Set start of between 1 and 6 minutes, the capacity to add 30 seconds while running, and 4 one-touch cooking options for good measure. 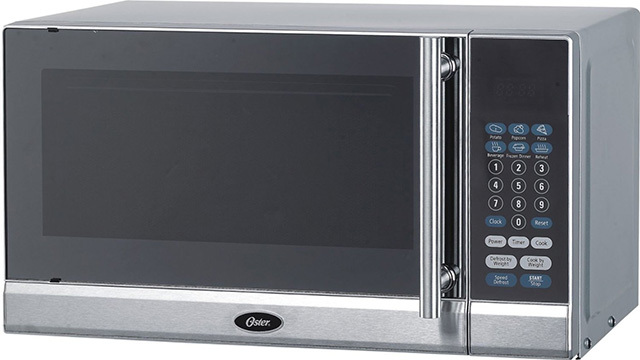 Oster’s OGG3701 is a .7-cubic ft 700 W digital microwave that features 6 auto cooking presets for processing a variety of dishes with relative ease. 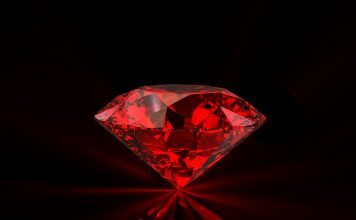 Among them, the ability to defrost items according to their weight, an Express cooking feature, and a few more. This microwave also has a digital clock with a digital timer for advanced cooking along with a variety of safety features for both your safety and the safety of your dishes. Although it looks a bit strange, this particular microwave is among the best in its class, not just in terms of cooking power but in terms of power consumption as well. It has 750 W of cooking power and 10 power levels, along with presets that can be prolonged with 30 seconds each via a quick-touch button. Speaking of which, this microwave features quite a few tap-touch controls, each assigned to a specific function. This versatile countertop microwave from Kenmore packs a memory cooking feature that allows you to create a customized cooking time and power level combination and save it for later use. Interestingly enough, it also allows you to program multiple cooking stages beforehand, stages that will be processed automatically one after the other. Furthermore, this microwave allows you to increase cooking time via 30-second increments, a feature that comes in handy when cooking in multiple stages. Thanks to its Inverter Technology, this microwave allows you to cook frozen foods a lot easier than previously possible and a lot faster as well. It has 950 Watts of cooking power, a one-touch auto cook feature, reheating capabilities, and a Keep Warm feature which is self-explanatory. It also features a timer with a start delay, a quick minute feature, a popcorn key, and a pop-out programmable dial for a bigger control of the cooking process. 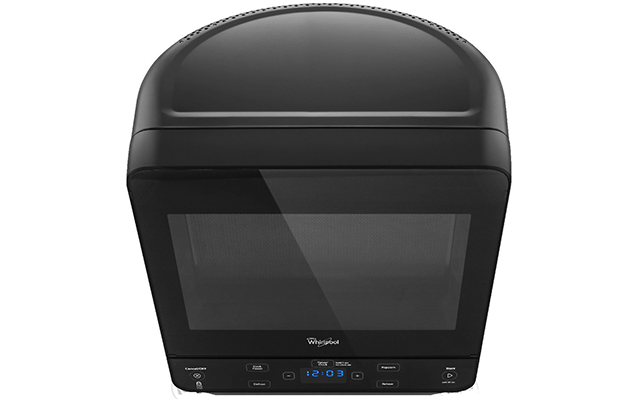 Affordable and efficient, Westinghouse’s WCM660B Countertop Microwave Oven is the perfect example of what a compact microwave should look like. It is lightweight, easy to operate, and packed with a multitude of useful features aimed at cooking almost any type of dish with minimal effort. This microwave uses mechanical rotary dial controls which although they are pretty basic in this day and age, are very unlikely to break down anytime soon. Last but not least, it features a 30-minute timer with audible signals, an easy to grip handle, and 6 convenient cooking power levels for good measure.